Steven Pacey has narrated two audios in Creative Content Ltd’s Lowdown Series: audio downloads for people who are long on ambition, but short on time. Here are useful tips to help you climb the corporate ladder…. In today’s competitive job market, you need to find an edge. What if you had one of the top CEOs in the publishing industry as your mentor? What if that mentor gave you inside information and top tips to help you plan your route to the top? And what if that mentor was available at the click of a button? 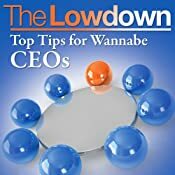 In an effective but light-hearted talk, Richard Charkin, executive director of Bloomsbury PLC (publisher of the phenomenally successful Harry Potter novels), gives the lowdown on how to climb the career ladder, the best way to start, what pitfalls to avoid as you advance, and how to stay on top once you’re there. As a bonus, people at the top of their profession – such as best-selling author Jeffrey Archer and chief executive of the British Library, Lynne Brindley – provide questions they’ve always wanted the answers to. Richard Charkin is Executive Director of Bloomsbury Publishing PLC. He is responsible for Bloomsbury’s publishing activities in UK, USA and Germany (through Berlin Verlag). He is also a non-executive director of the Institute of Physics Publishing. He is a member of the Strategy Advisory Board of the British Library; a member of the Institute of English Studies Advisory Board; a member of the UK’s Literary Heritage Group; a Trustee and former Chairman of Common Purpose UK; Council member and former President of the Publishers Association. He has held senior positions at Macmillan (CEO worldwide), part of Verlagsgruppe Georg von Holtzbrinck (Director); Current Science Group (CEO); Reed Elsevier (CEO Reed International Books); and Oxford University Press (Managing Director Academic and General Divisions). Communicate like a great leader! Risk Communications is a skill that can enable you to communicate like a great leader during difficult situations – and to make sure that what you say is remembered. During high-stress, high-concern, controversial, or low-trust situations, normal ways of communicating change. Attention spans shrink and ‘mental static’ severely limits the ability to listen. This medical fact underpins the central theme of this book: In situations of high stress, high concern, high stakes, and controversy – the ground rules of communication are different! 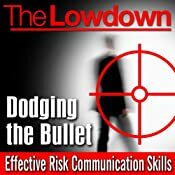 The Lowdown: Dodging the Bullet – Effective Risk Communication Skills summarises some of the science behind risk communications, chronicles the four main theories of risk communications and gives you practical advice that will help turn you into a great communicator, both at work and at home – no matter how stressful the situation! Dr. Andrew Roberts is a scientific communications specialist who has spent most of his career in strategic communications. As an exponent of risk communications for 10 years, Andrew has deployed controversial communications most extensively in agricultural biotechnology, seed, and crop protection chemicals industries, working closely with the plant science industry. Dr. Andrew D. Powell has worked as a consultant since 1994 assisting a wide range of clients in their activities in biotechnology across East Asia, Australia, and Central / South America. Trained in risk communication by Dr Vincent Covello in 2003, Andrew has conducted a range of risk communication courses in Peru, Mexico, Thailand, Vietnam, Malaysia and Singapore.